Are you blocking your success using the wrong social media platform? Listen as social media marketing expert, David Pride, share his expertise to guide you to choose the social media platform that’s best for you. David Pride is the owner and Chief Relations Officer of Social Impressions, a social media marketing agency that specializes in running their client’s social media for them. 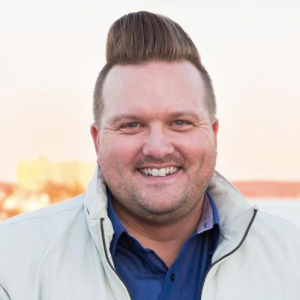 He’s a professional speaker and presenter on the subjects of social media marketing, social media strategy, and using the internet to connect better with prospects and clients. His speaking career has taken him around the world. David serves on the board of Sloth Institute of Costa Rica, BioQuest Solutions, and Jewels of the North Atlantic. He has a passion for connecting good causes and movements to large audiences and frequently leads seminars around the world about this subject. He’s a regular Huffington Post contributor and other publications. Q: David, social media is freaking people out. They know they need to use it but all those different platforms out there, they don’t know which one to use, which one’s right for them. Which is the best social media platform for authors to use to build their author platform? A: Great question and it’s one that I get asked all the time. My answer is always a little bit different depending on what industry folks are in and what they’re looking to do. There are a couple of platforms that make the most sense for authors to be on. One, I think everybody needs to own their page on Facebook and I don’t mean their personal page but their business page. Even if it’s a first-time author who says, “Oh, nobody’s going to want to friend or fan my page or follow it because I haven’t even published my first book yet. I get more interaction on my personal page so there’s no point in me even having a business page.” I hear this over, and over, and over again from clients. I would say “wrong,” mainly because Facebook is the largest social network in the United States. Also, when you think of … If somebody’s googling your name and they’re trying to find information about you or even a subject that you frequently write about, you’re an expert on, owning that page on Facebook is going to help you a lot with getting found. Facebook ranks in Google so it can help you in that way. Also, in the future as your platform grows and as you have more followers you aren’t necessarily going to want to have all these people being your personal friend, seeing what you’re doing on any particular day. To contact David Pride for more information about his services.